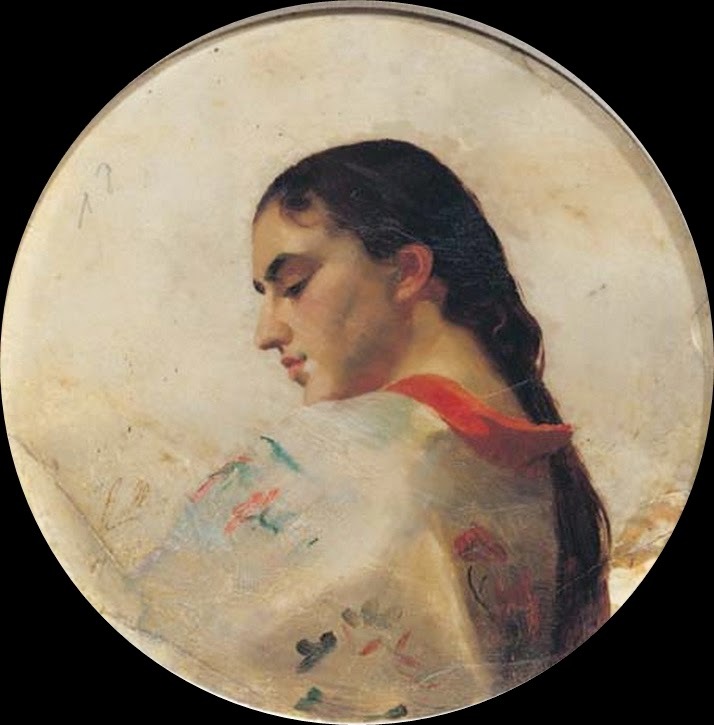 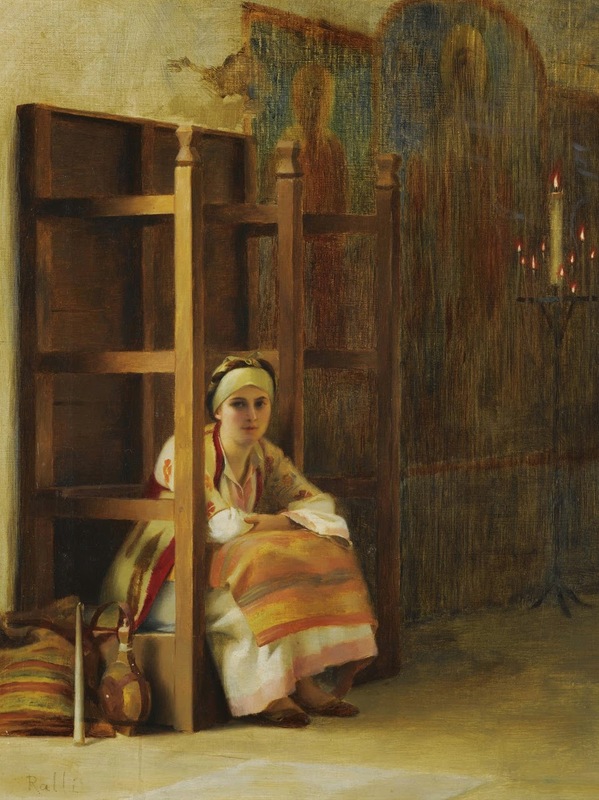 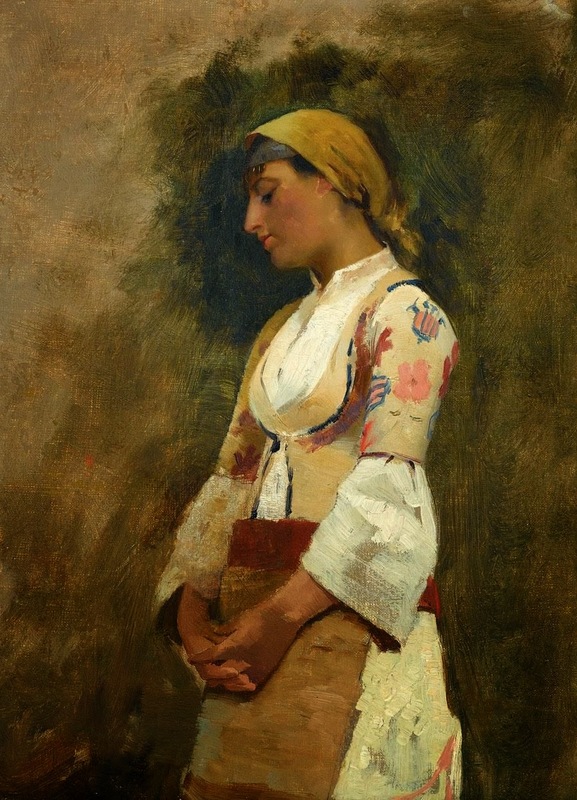 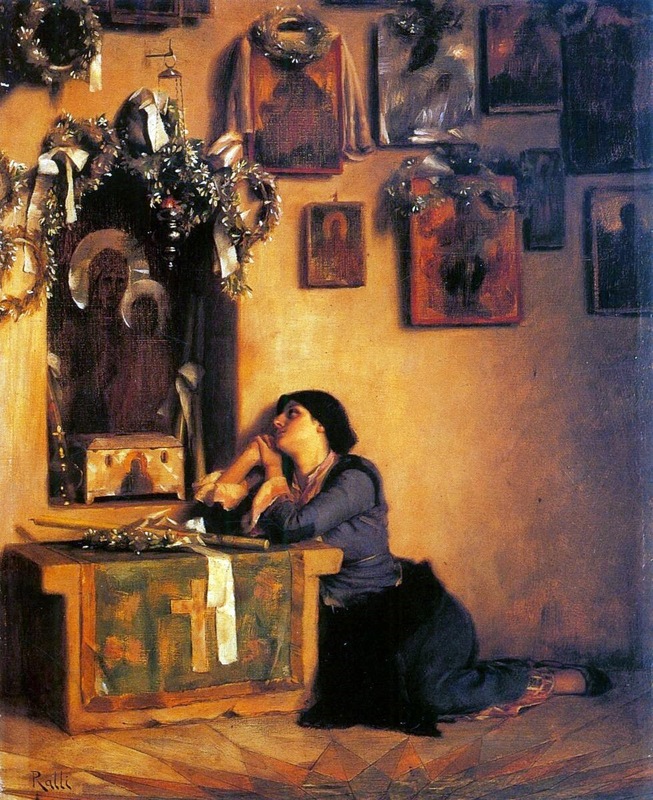 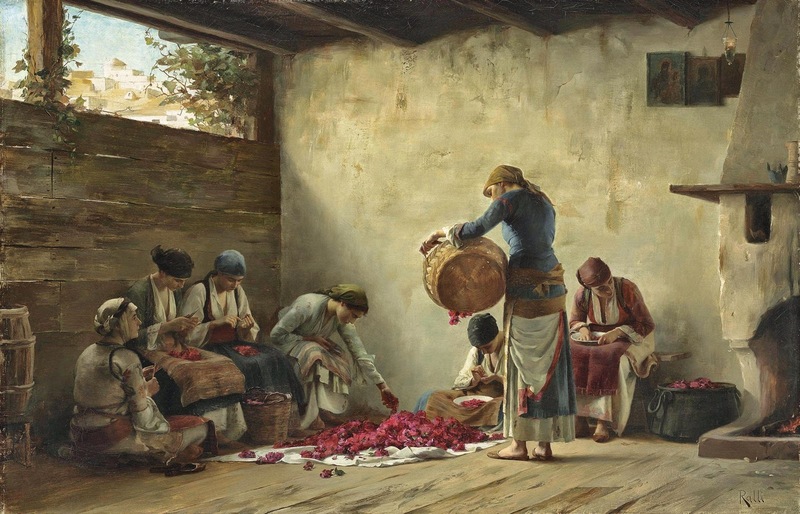 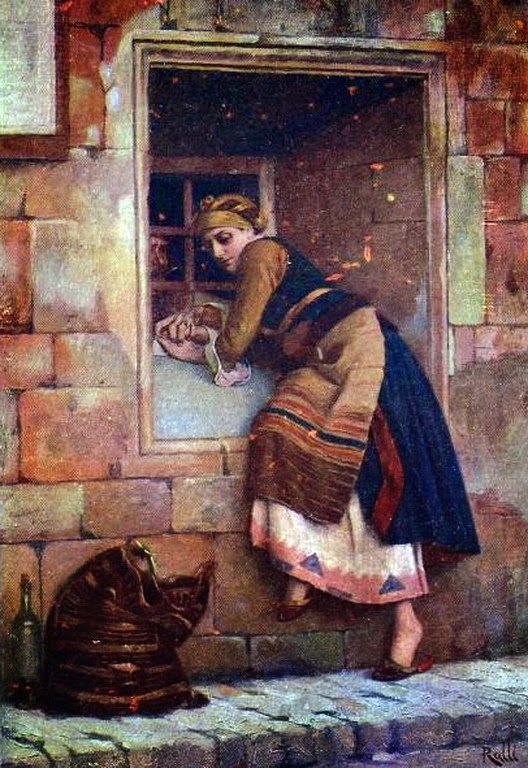 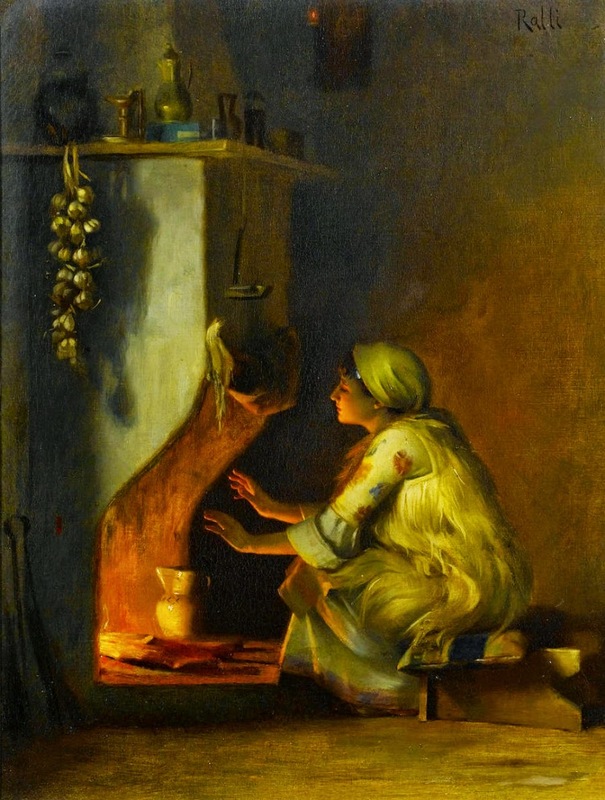 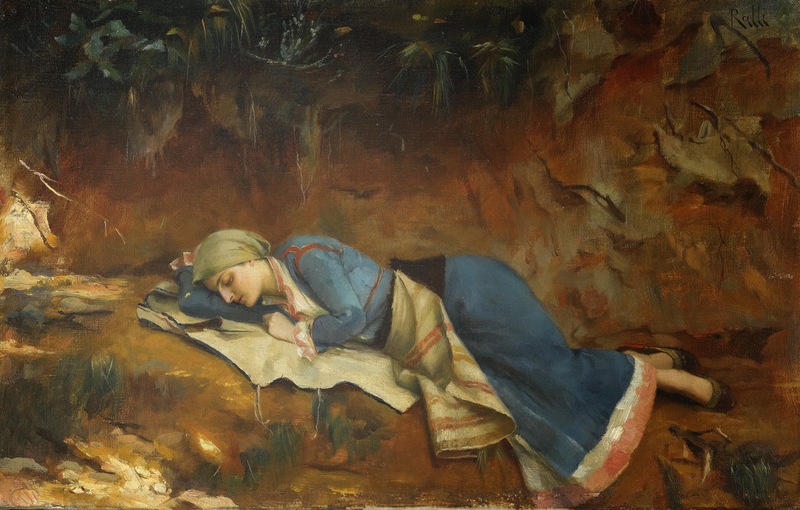 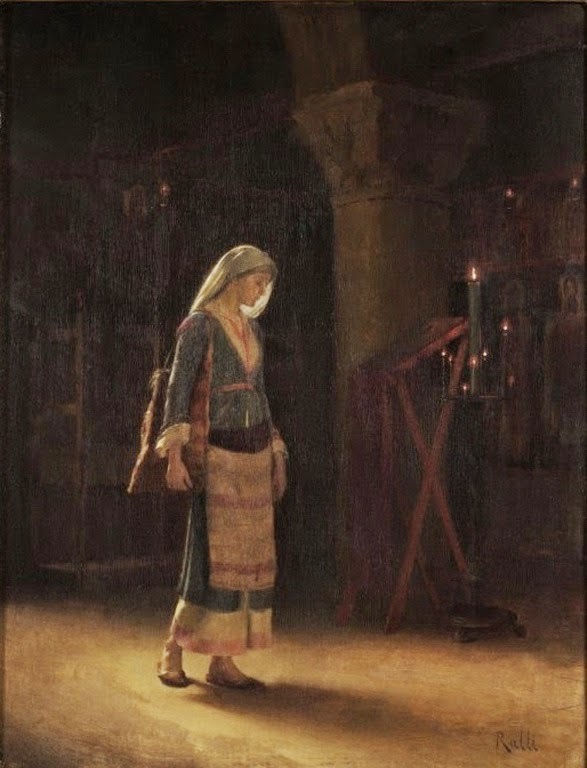 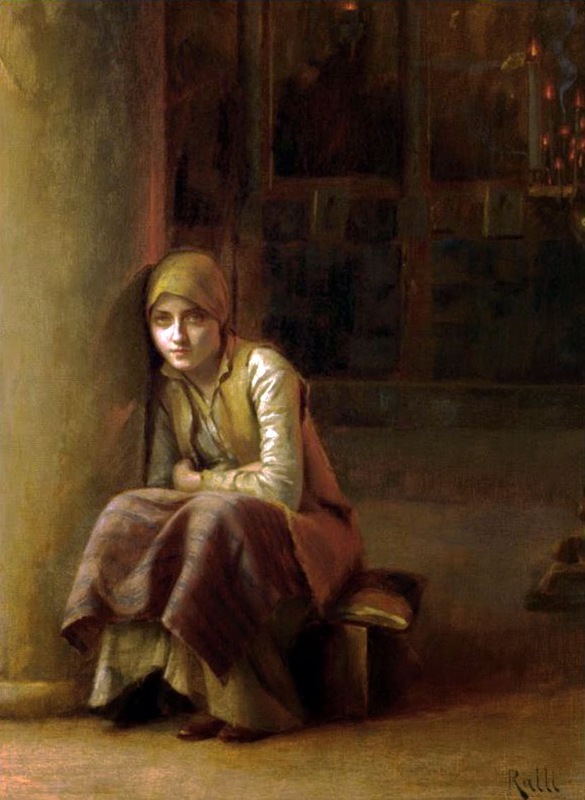 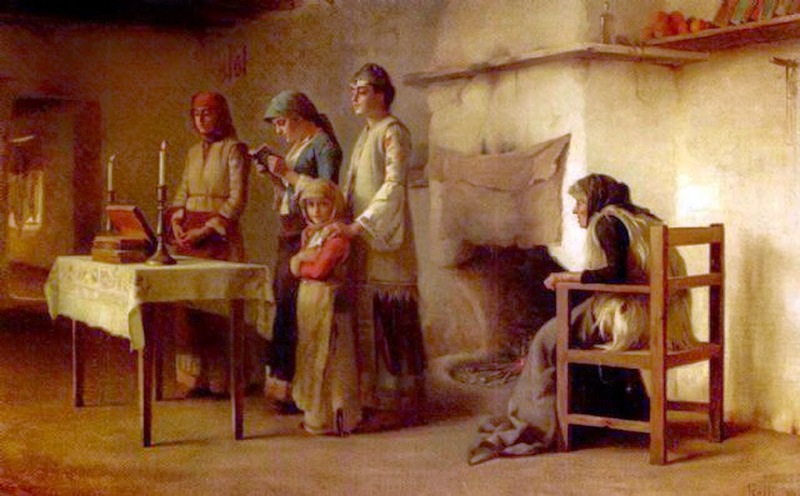 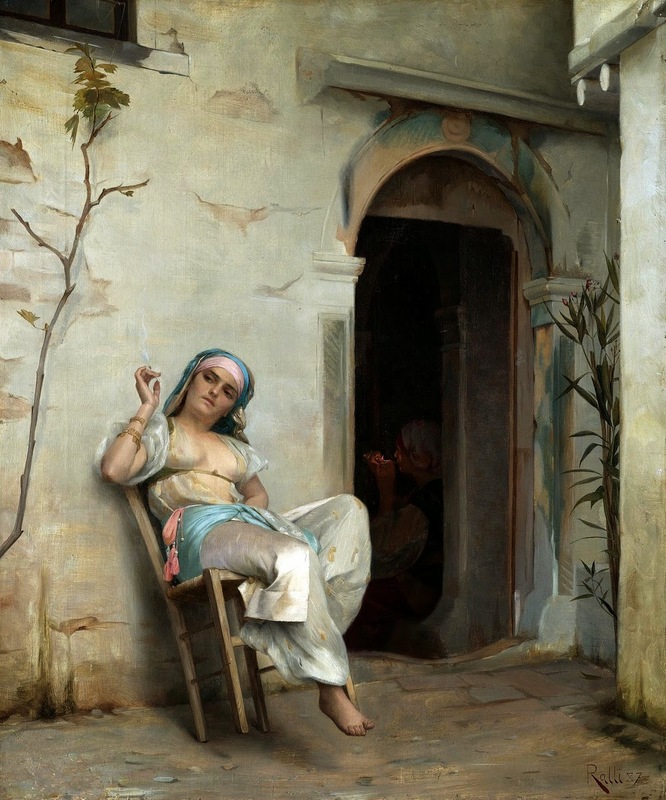 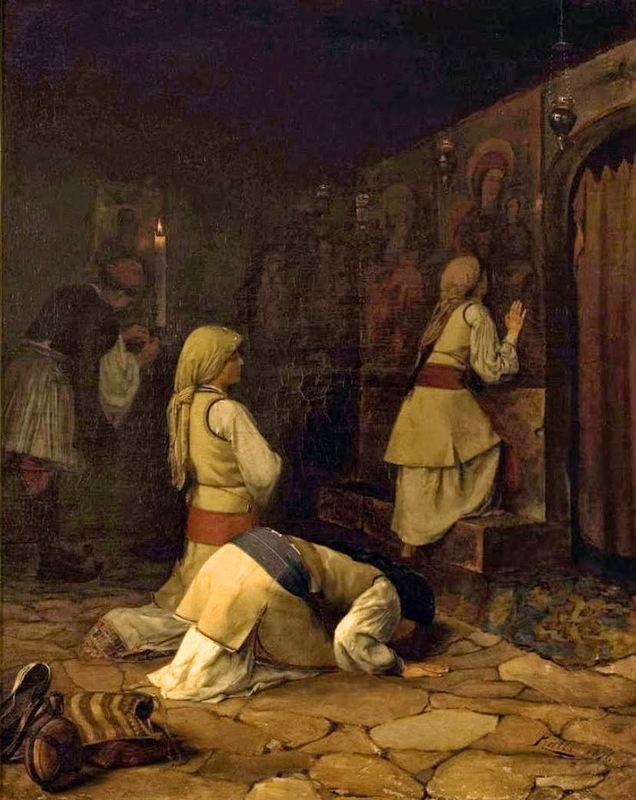 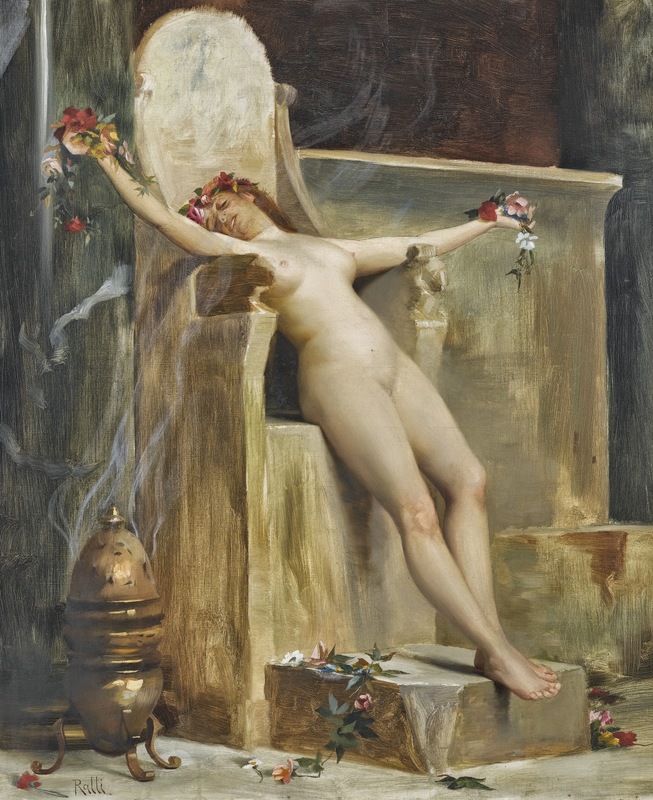 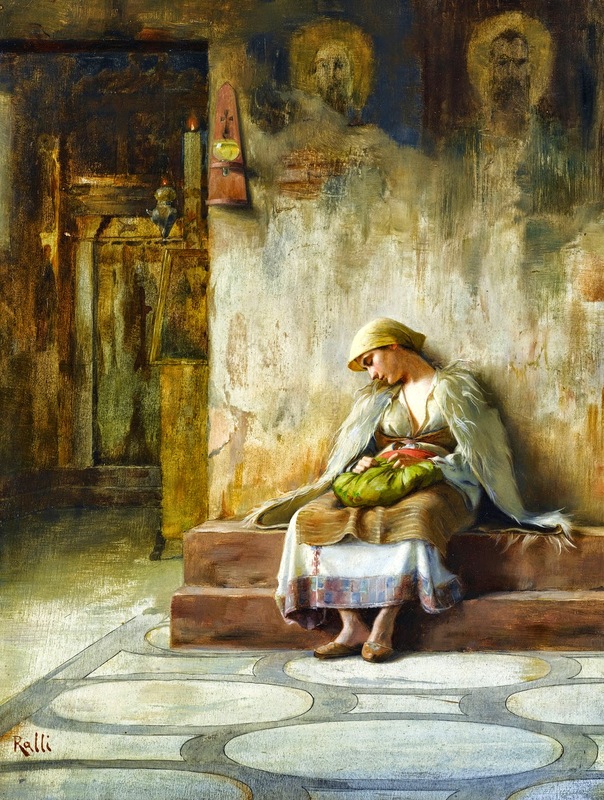 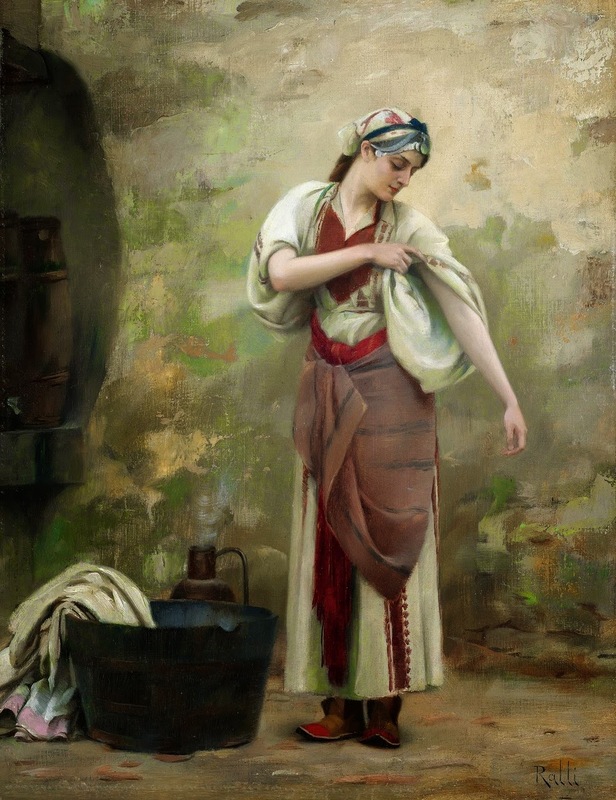 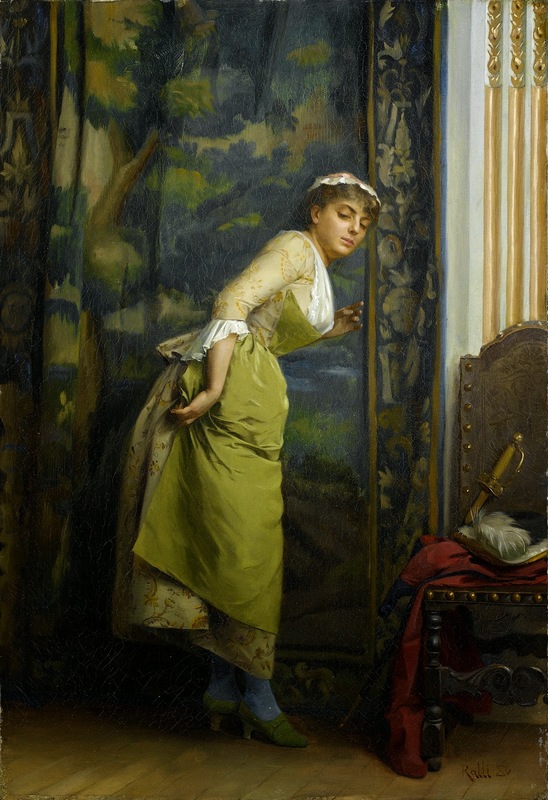 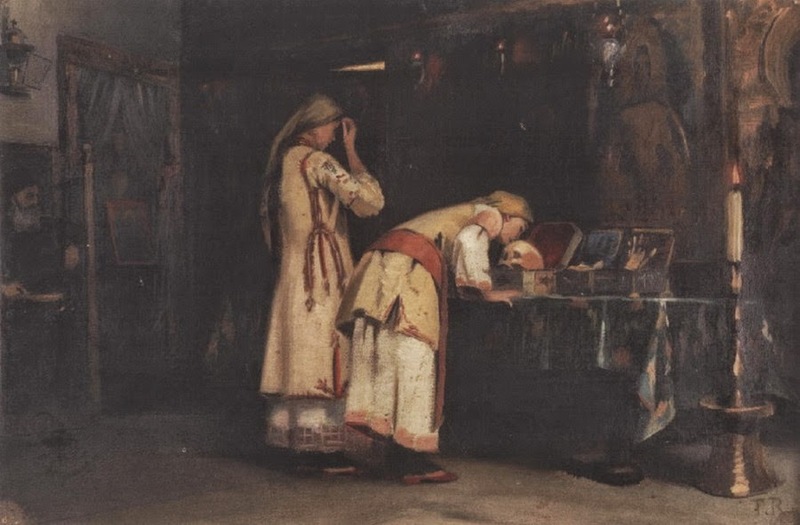 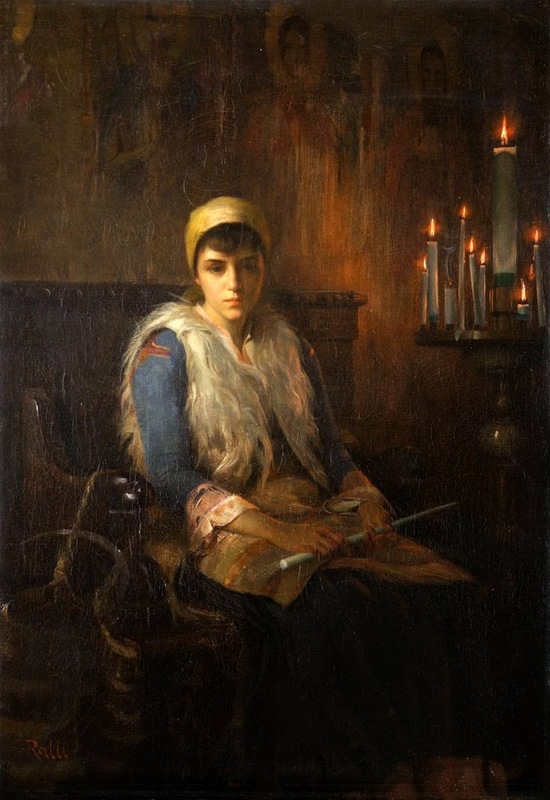 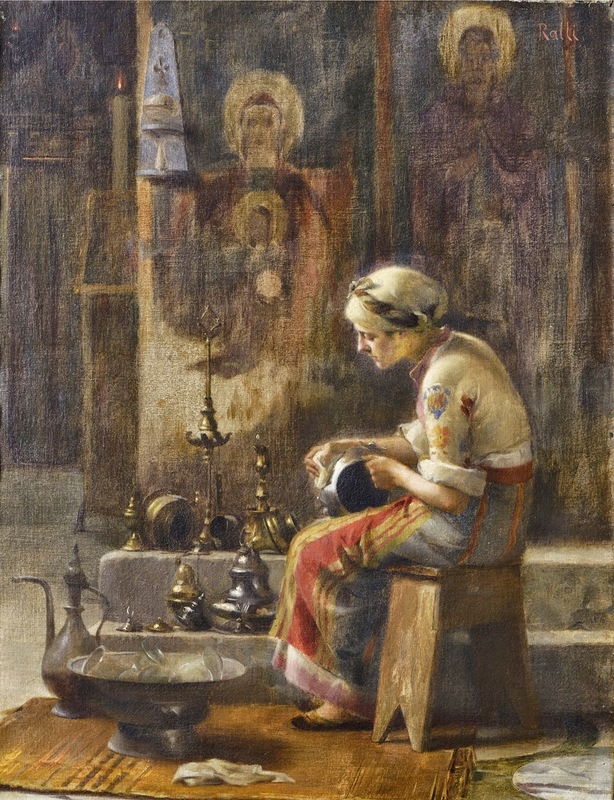 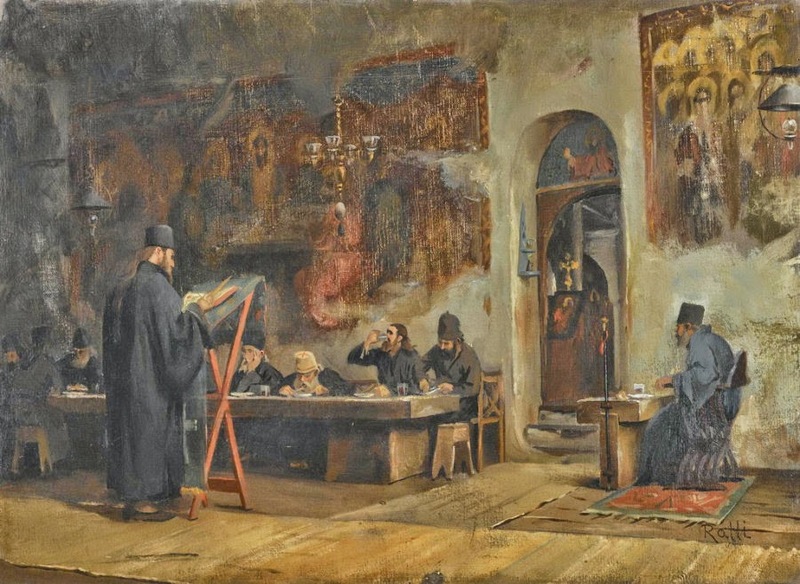 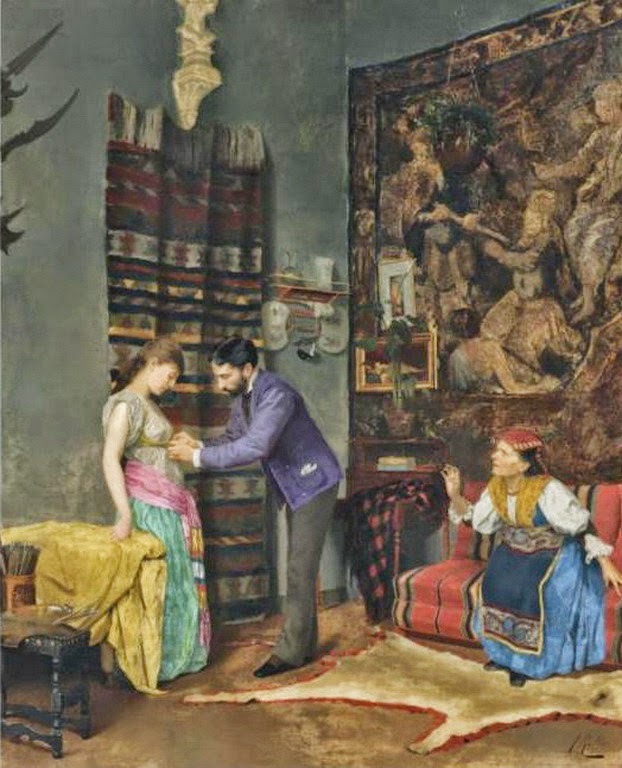 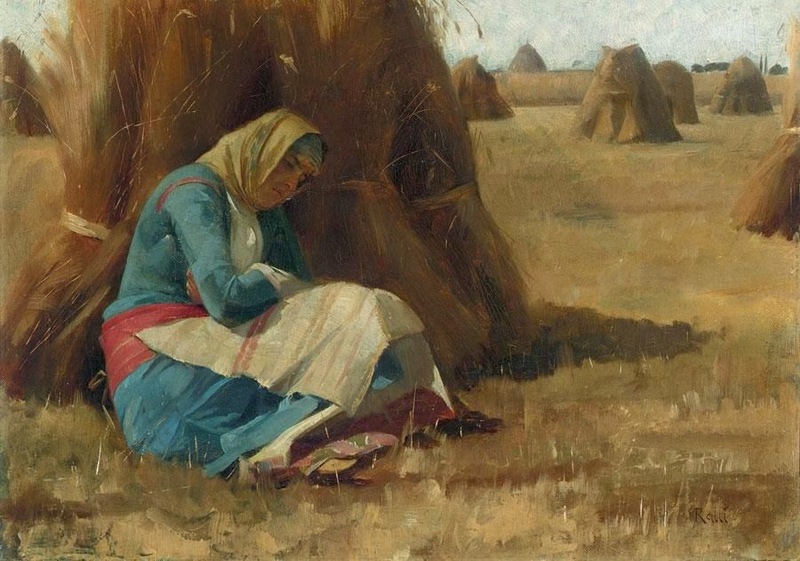 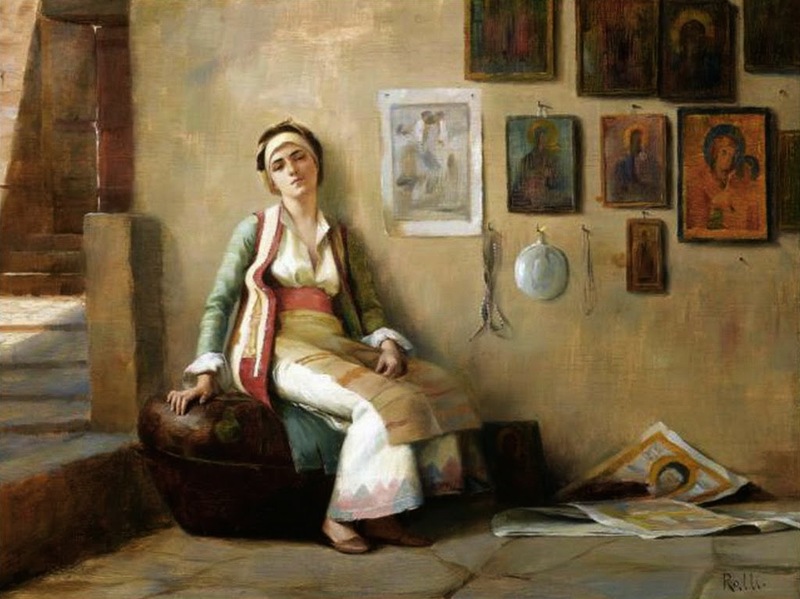 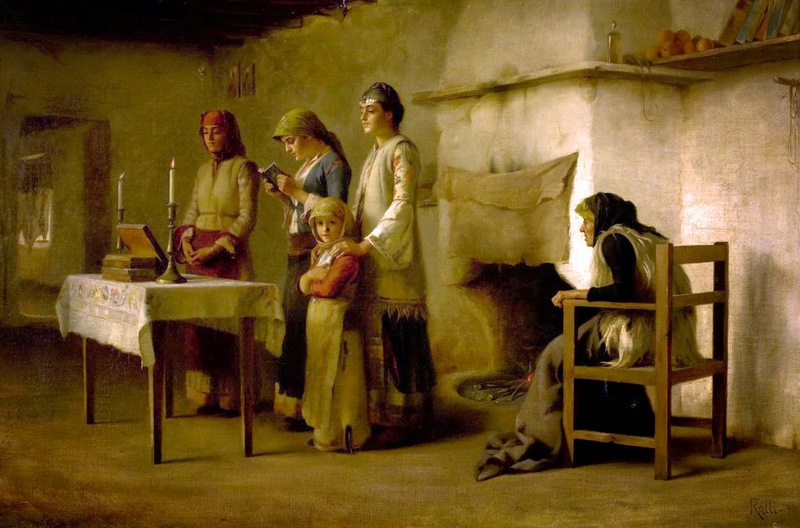 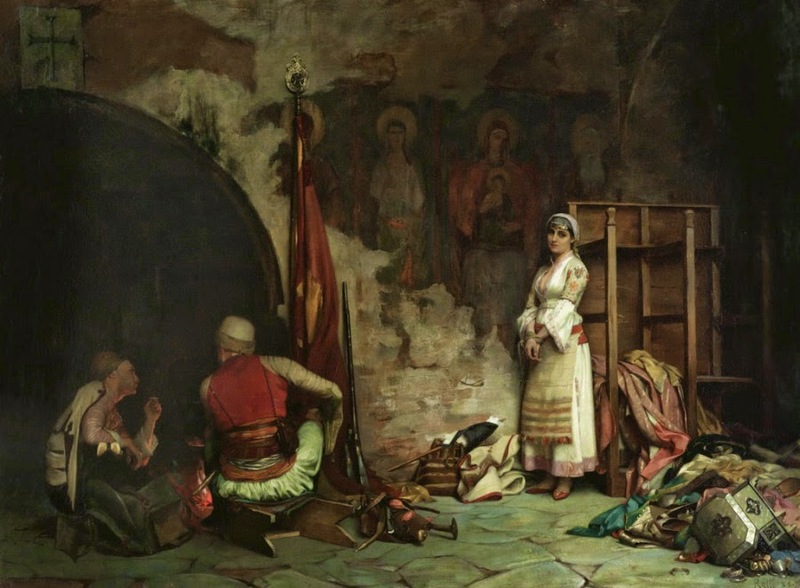 From a well-known family of Chios, Greek painter Theodoros Rallis Θεόδωρος Ράλλης [1852-1909] worked for a brief period in the commercial house of Rallis-Mavroyannis in London, but abandoned his entrepreneurial career and settled permanently in Paris, at the Ecole des Beaux-Arts. 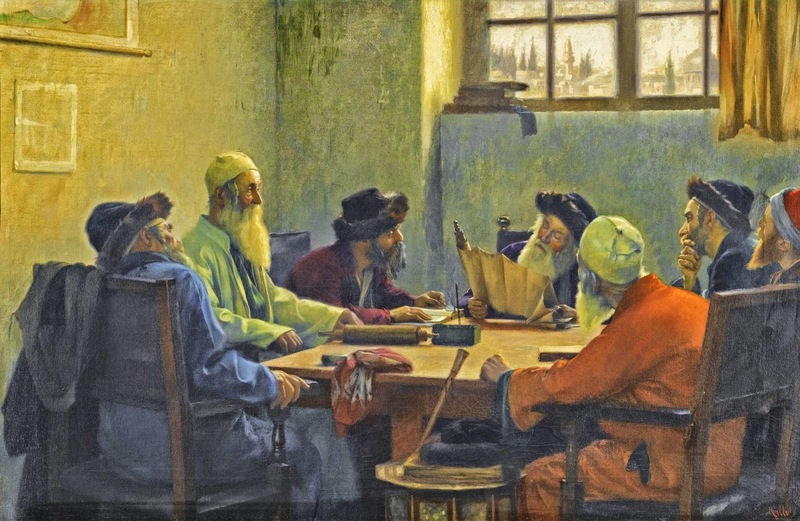 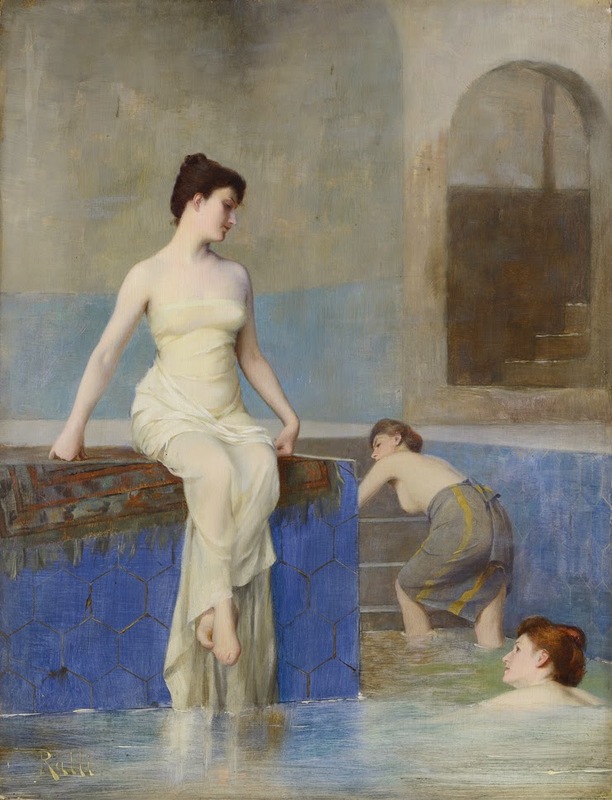 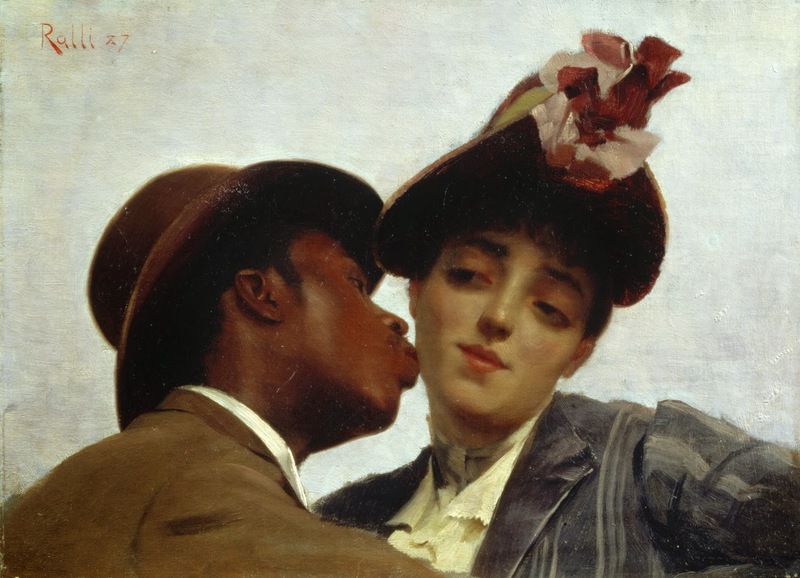 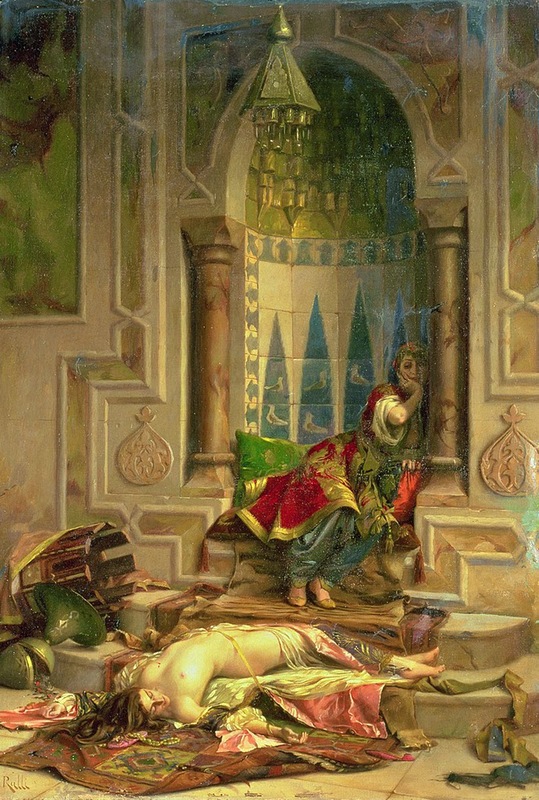 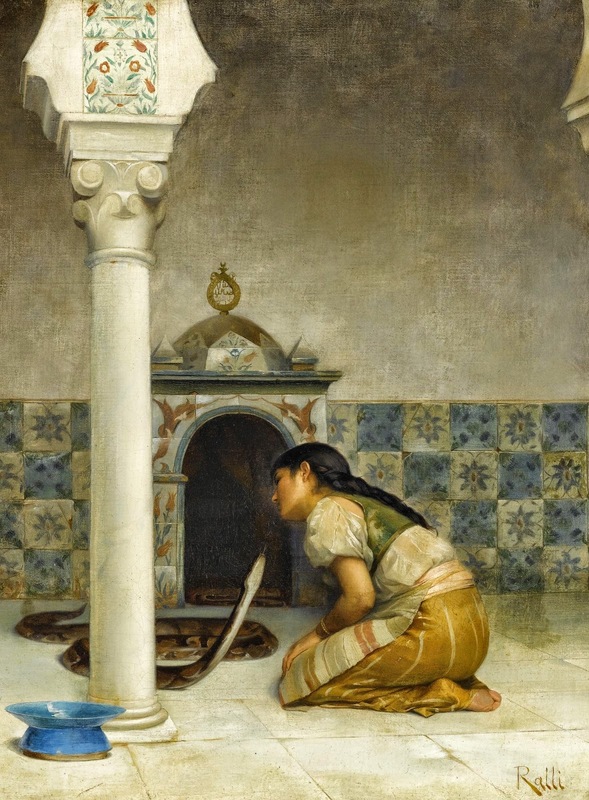 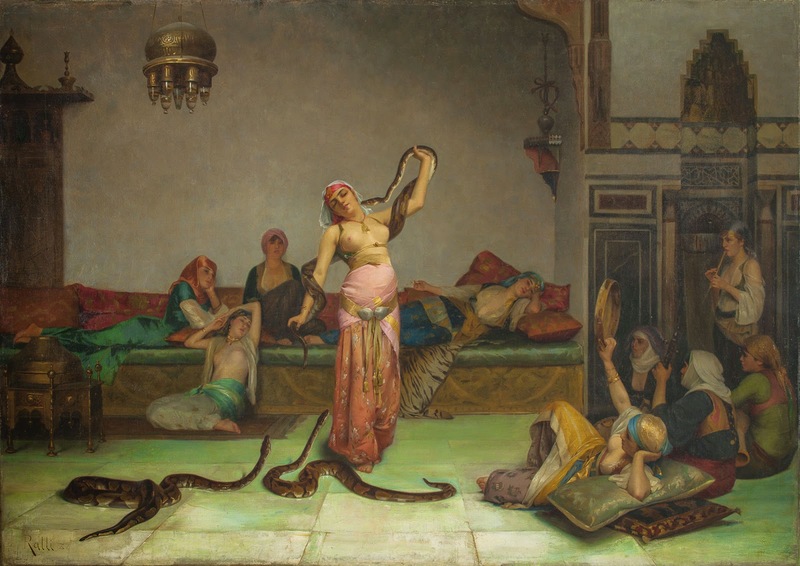 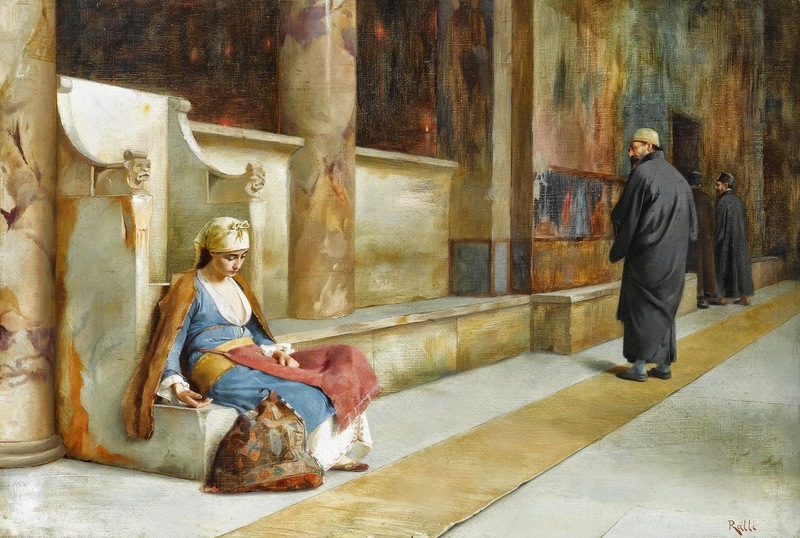 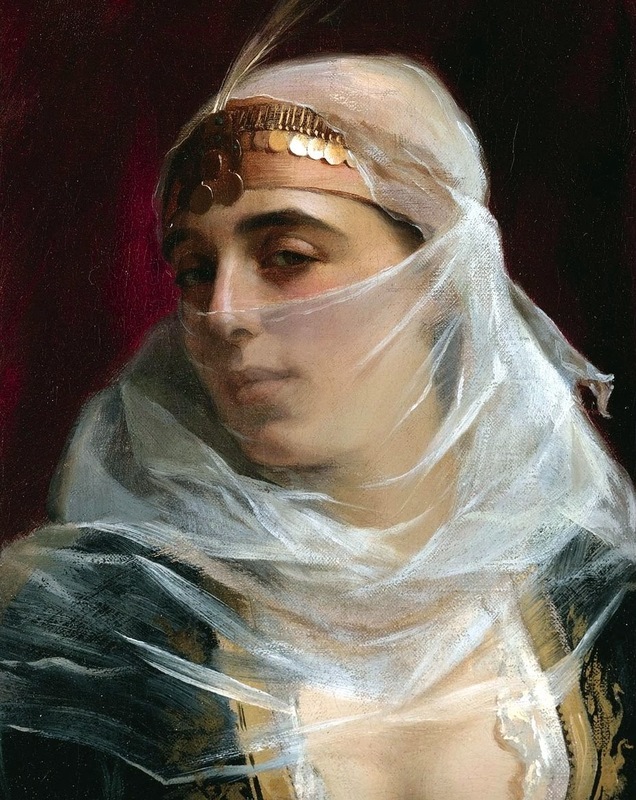 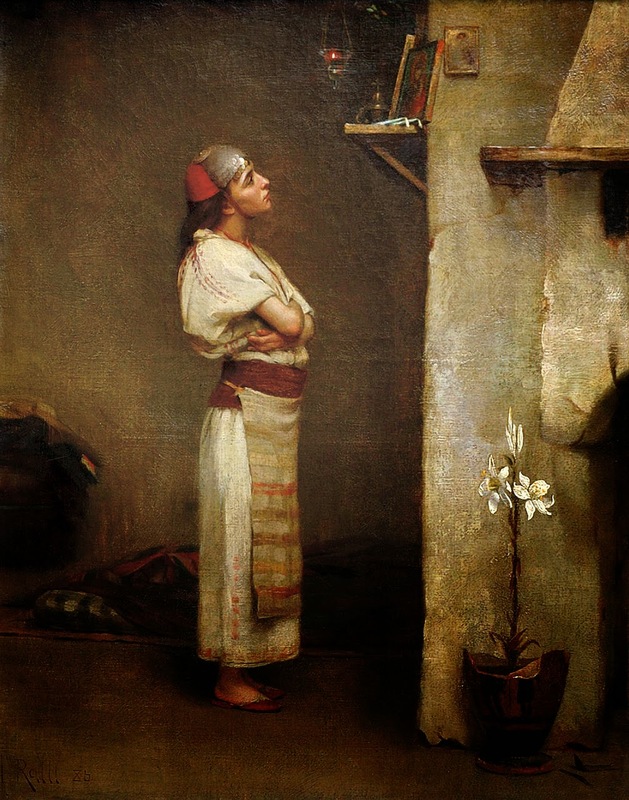 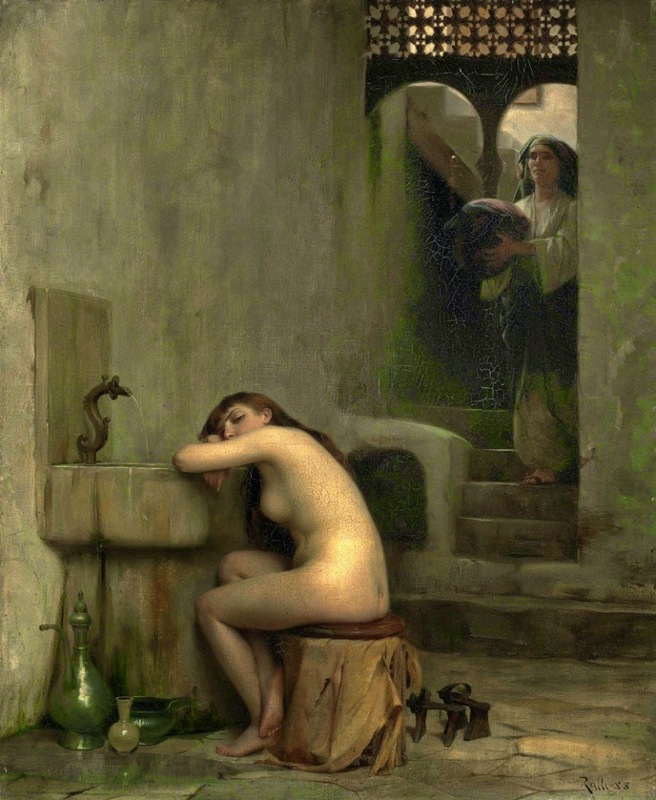 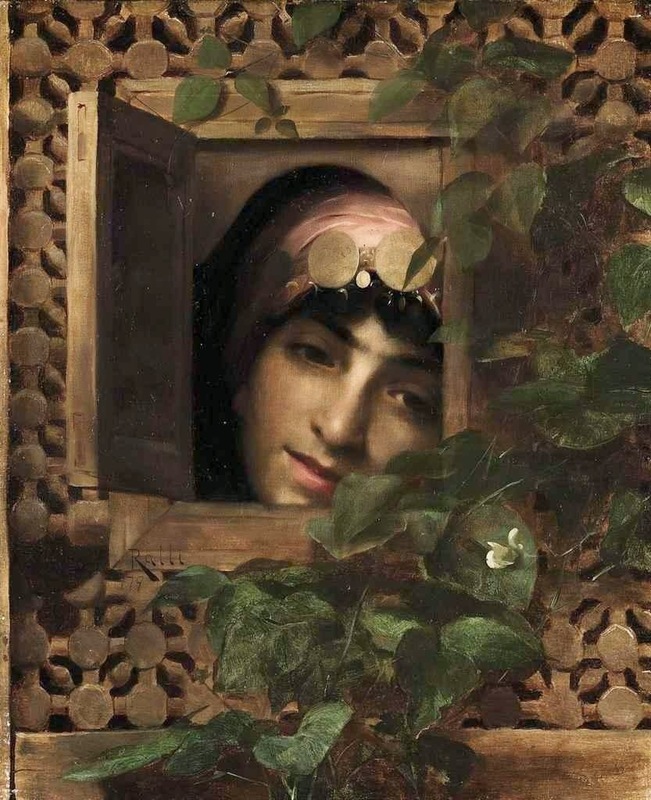 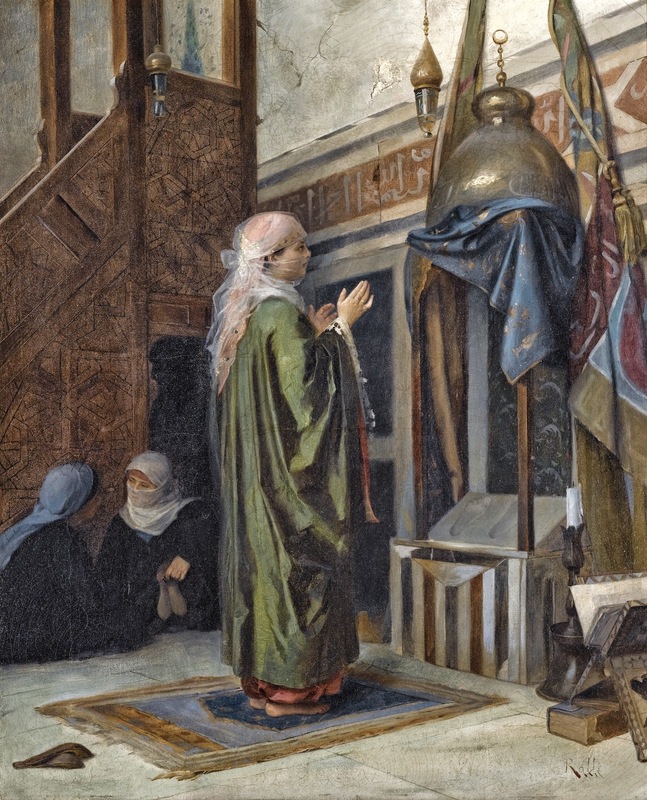 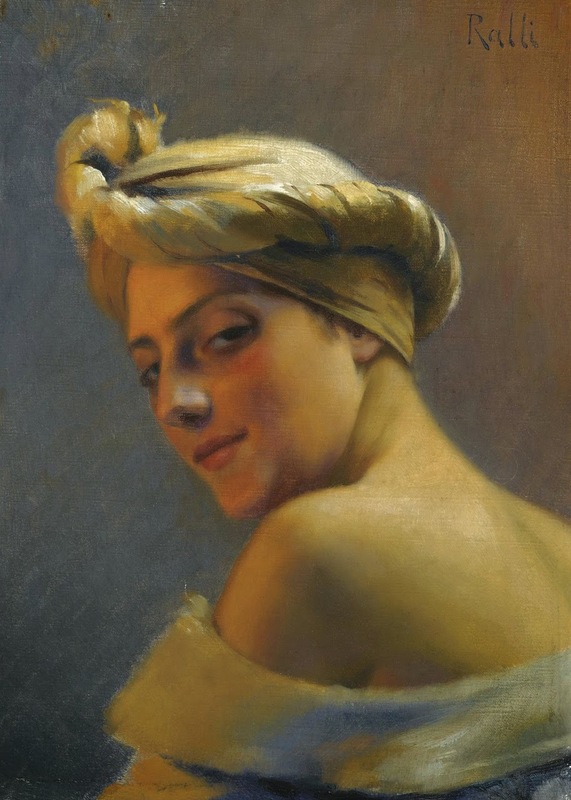 There he studied painting under the Academic teacher and Orientalist painter Jean-Leon Gerome until approximately 1880. 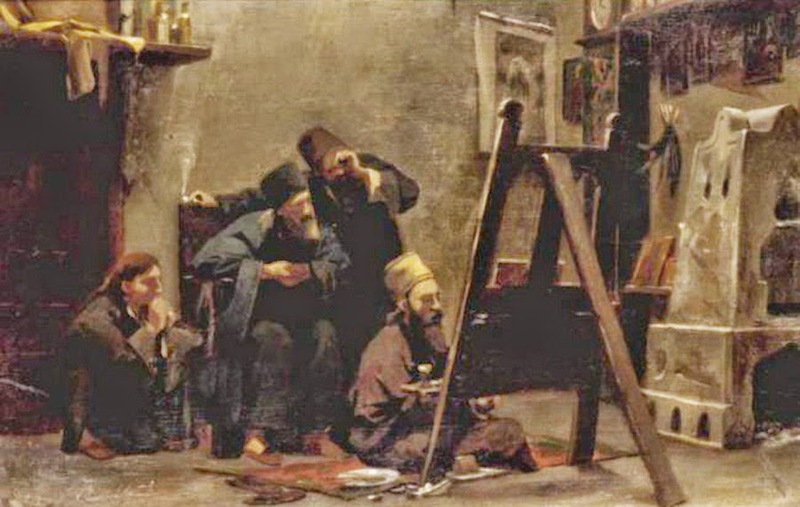 In 1873 he took part in the Salon des Refuses. 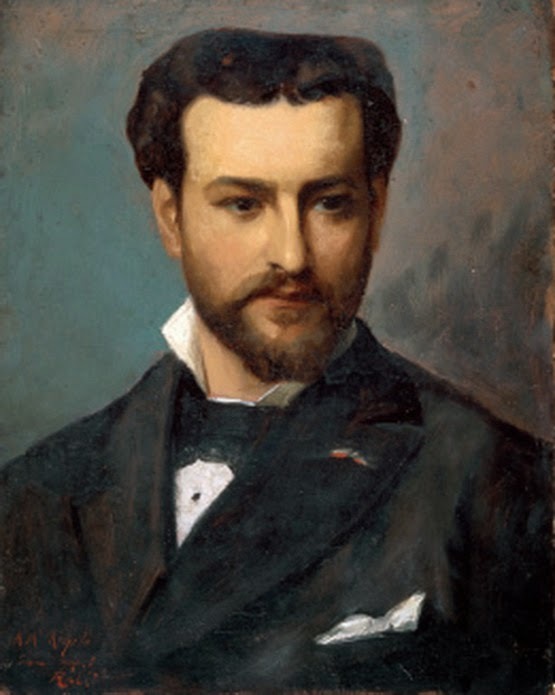 From 1875 to the end of his life he participated without fail in the official French Salons, the World Exhibitions of Paris -1878, 1889 - silver medal, 1900 - outside competition, member of the critical committee of the Greek division- as well as many other exhibitions both inside and outside France. 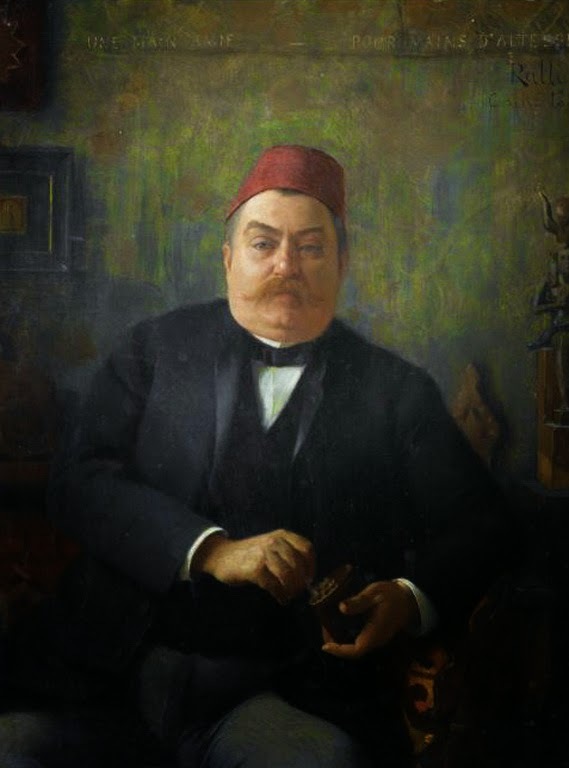 In Greece he won the silver medal at the Olympia Exhibition of 1888 and at the International Exhibition of Athens in 1903. 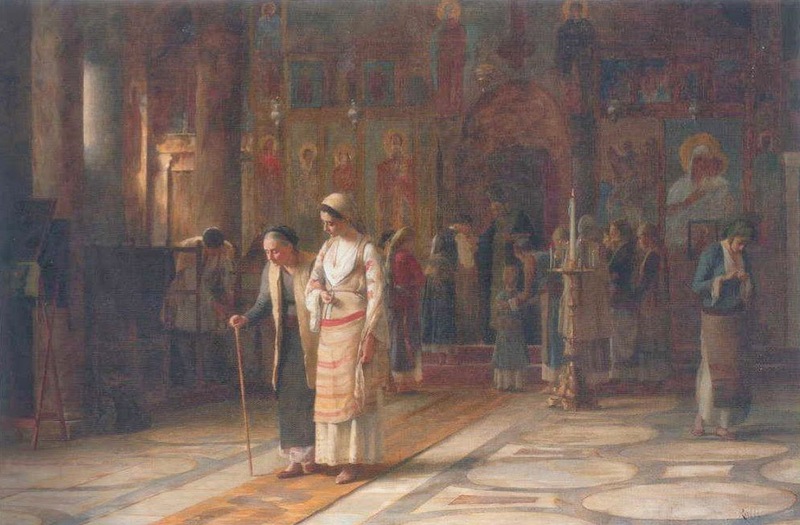 In 1885, the year he won honorable mention at the Salon and the Cross of the Savior in Greece, he acquired French nationality. 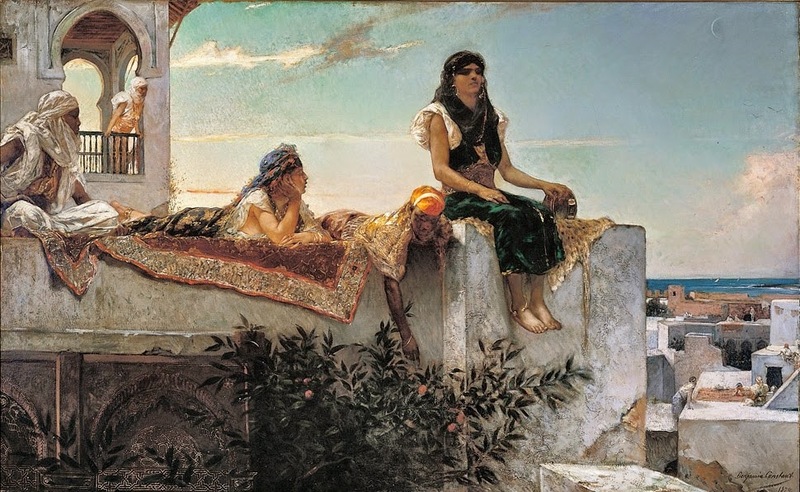 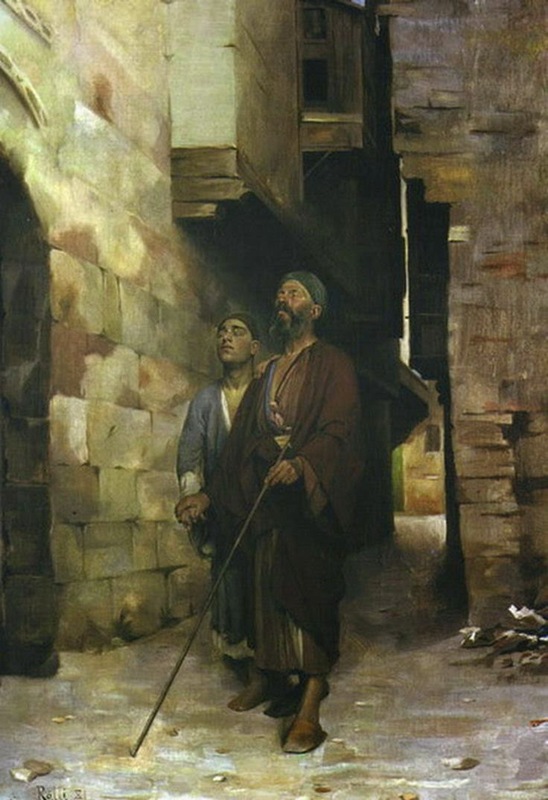 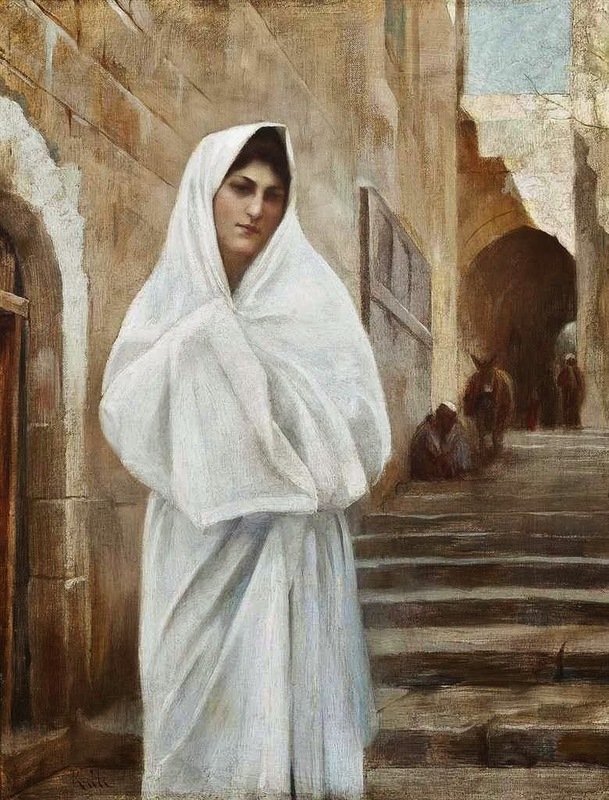 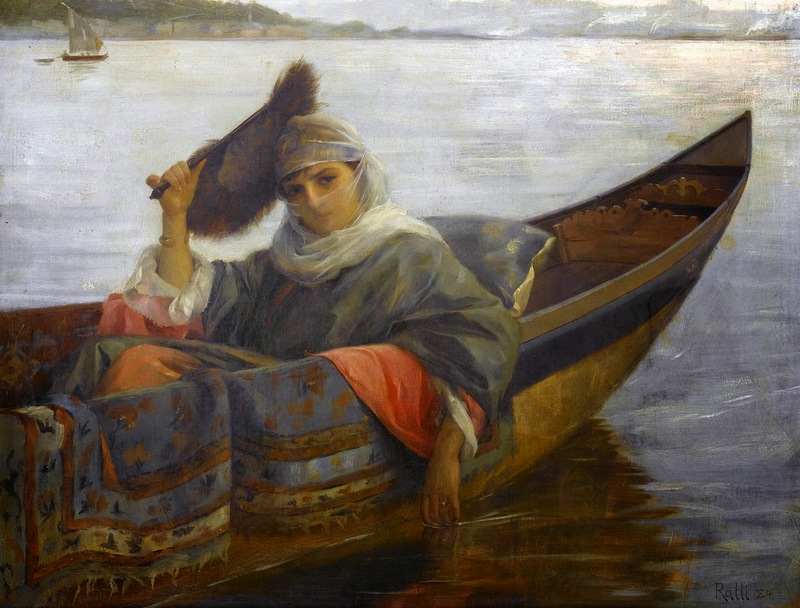 He repeatedly visited Greece as well as many Middle Eastern countries, drawing from them the subjects for his paintings. 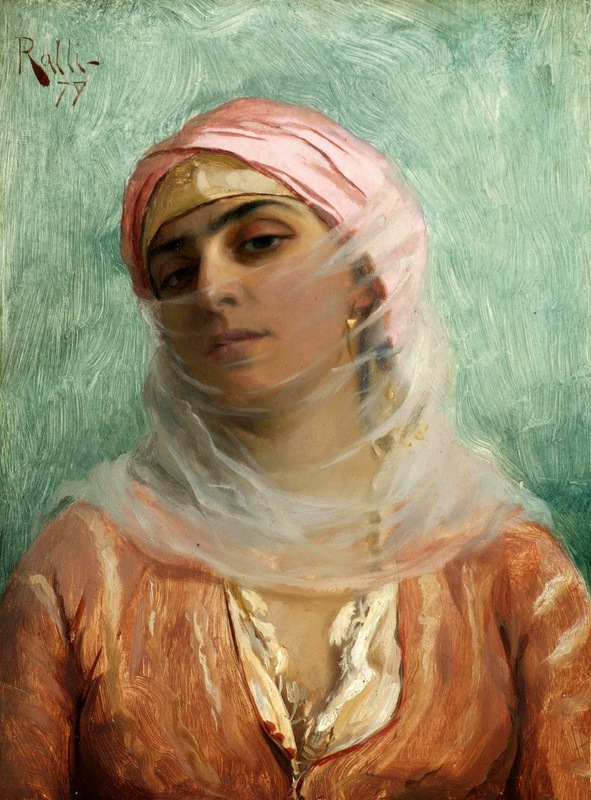 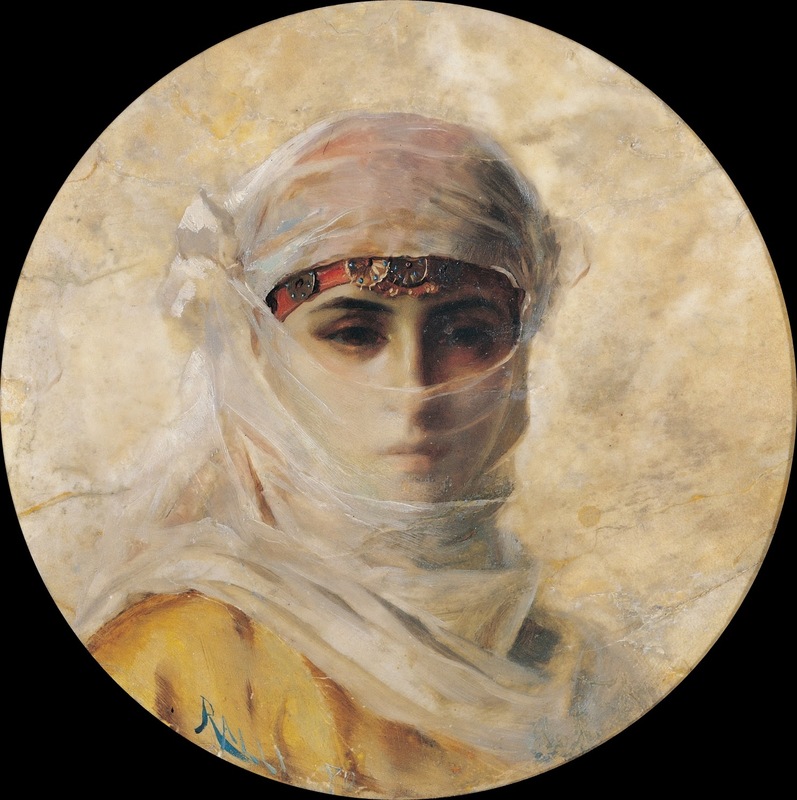 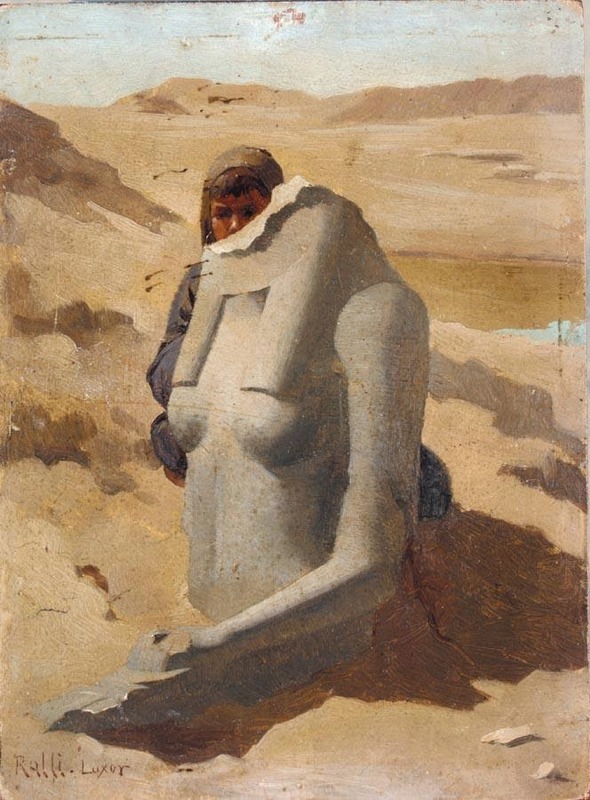 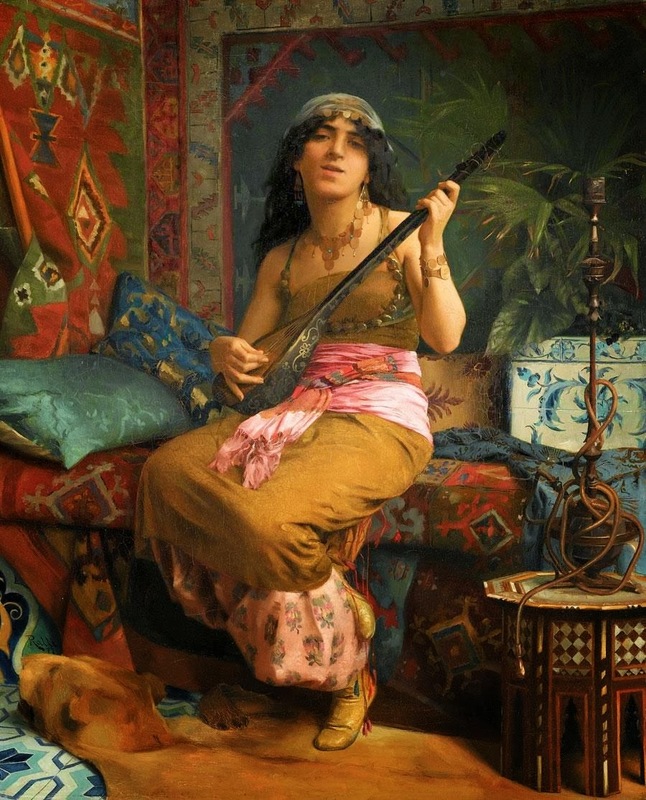 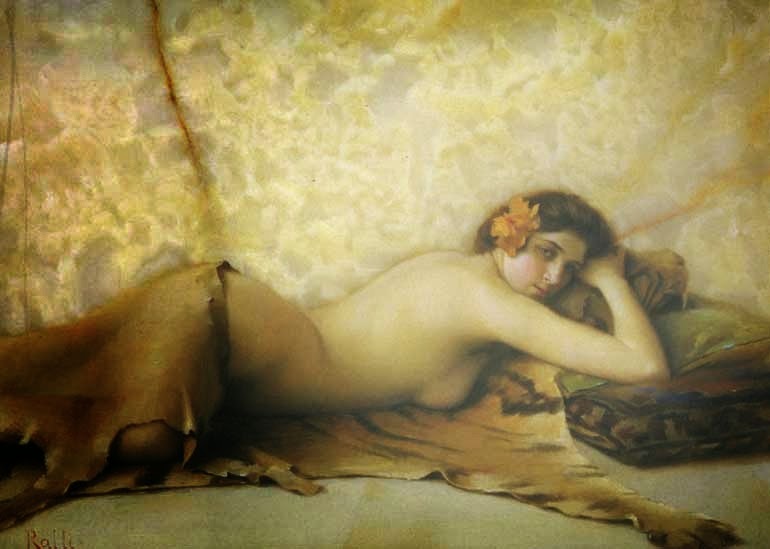 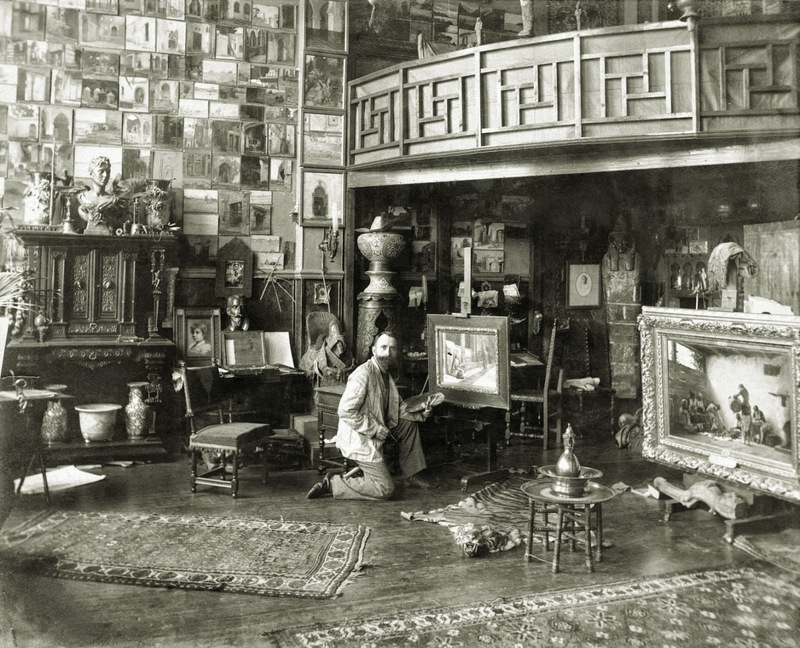 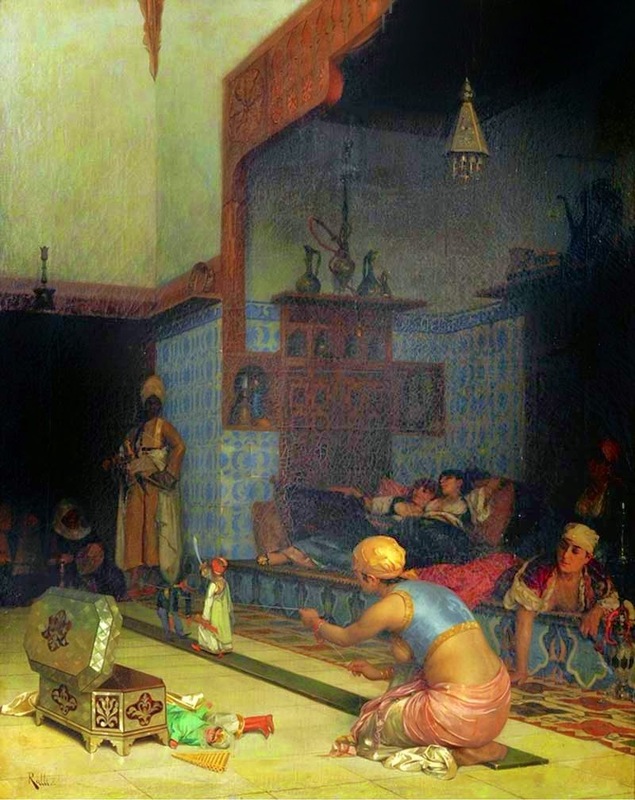 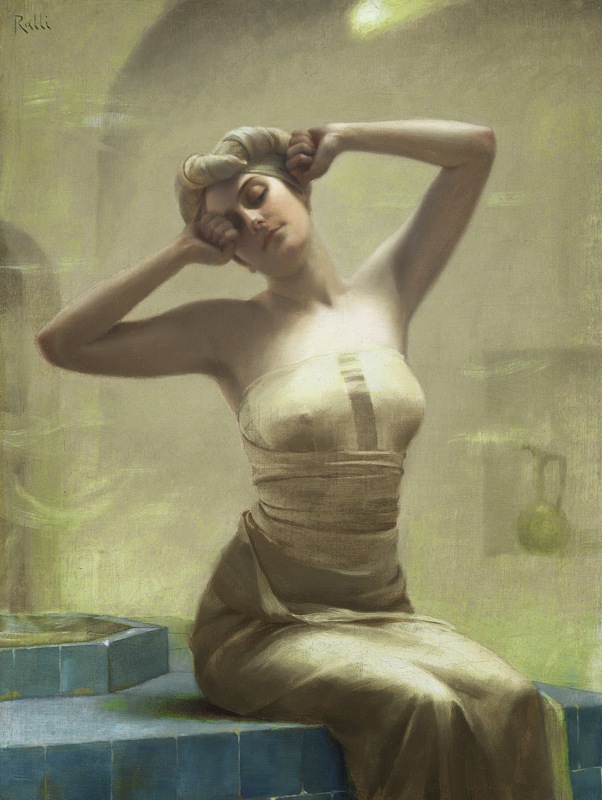 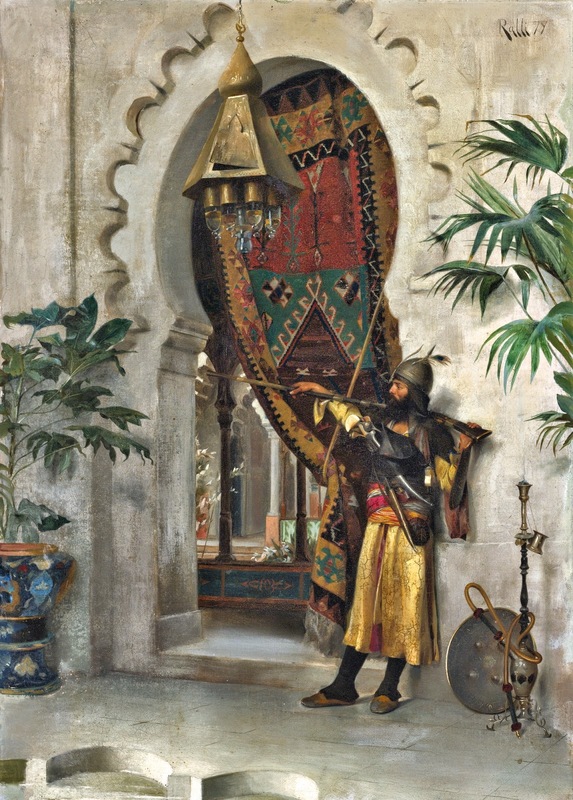 He also had a studio in Cairo where he spent the winter months from the end of the 1880s till 1904, developing noteworthy artistic activity, which included the organizing of yearly artistic exhibitions. 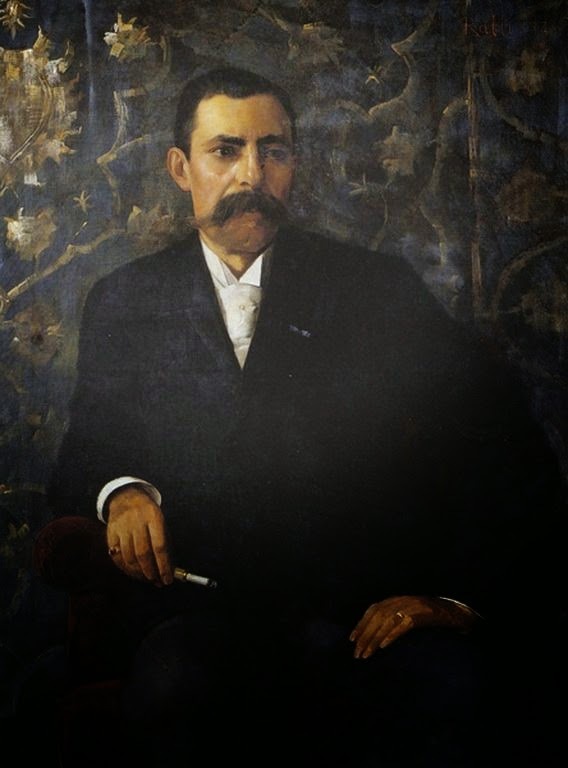 In 1900 he was awarded the decoration of the Knight of the Legion of Honor. 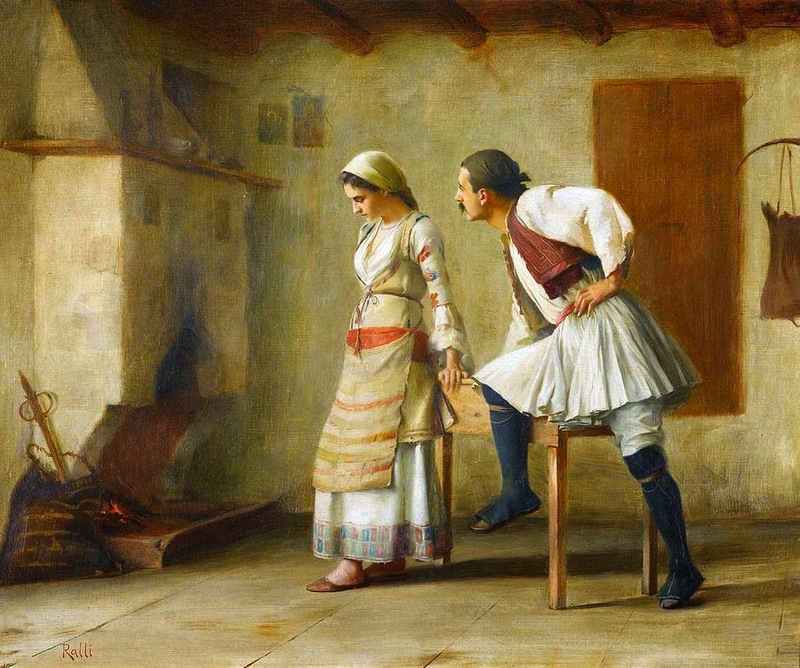 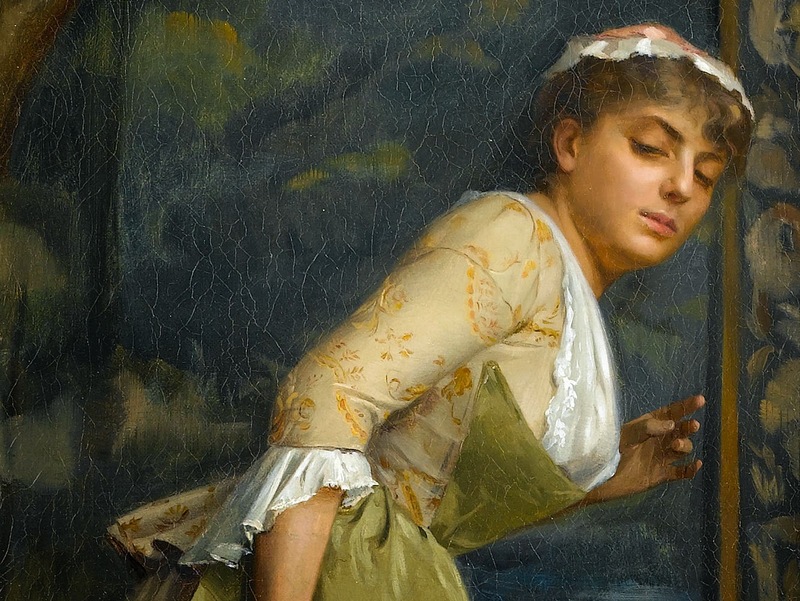 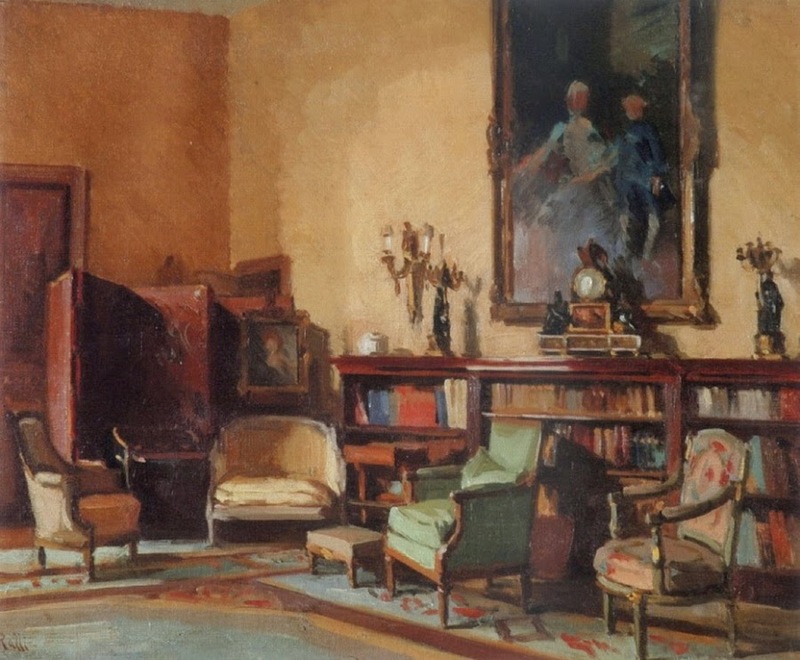 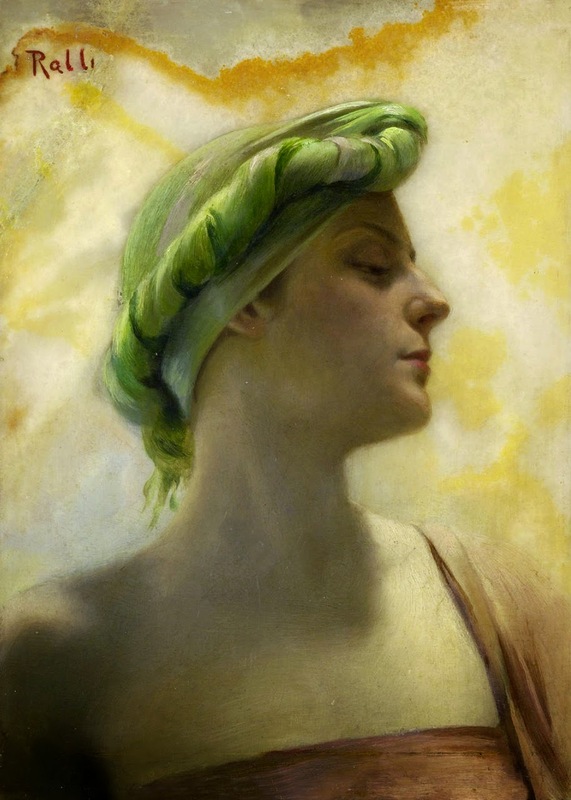 In 1910 the National Gallery received the Rallis Bequest, while a year later the Theodoros Rallis Prize was given for the first time in Paris and in 1912 the first Rallis Competition was held in Greece. 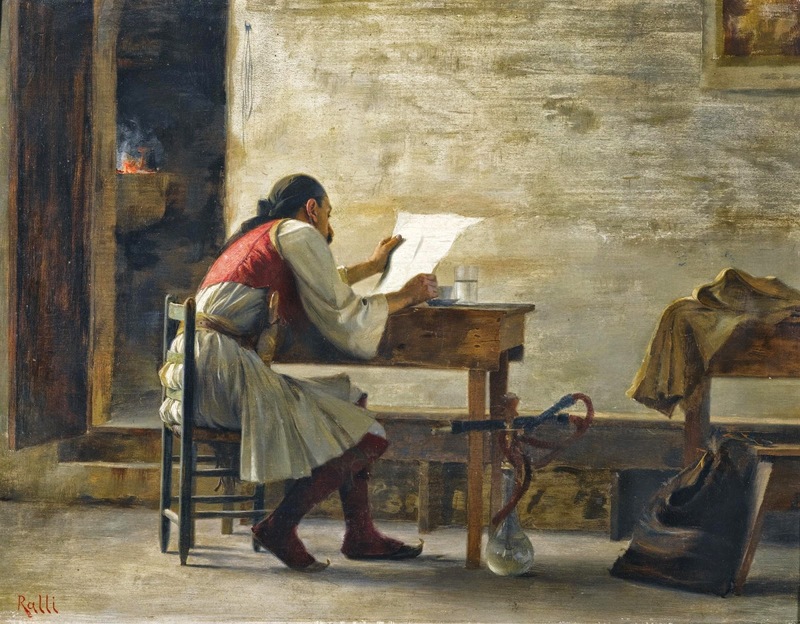 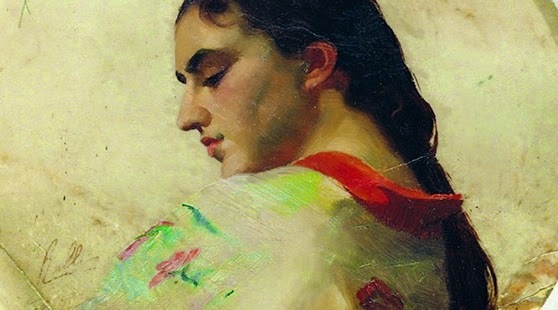 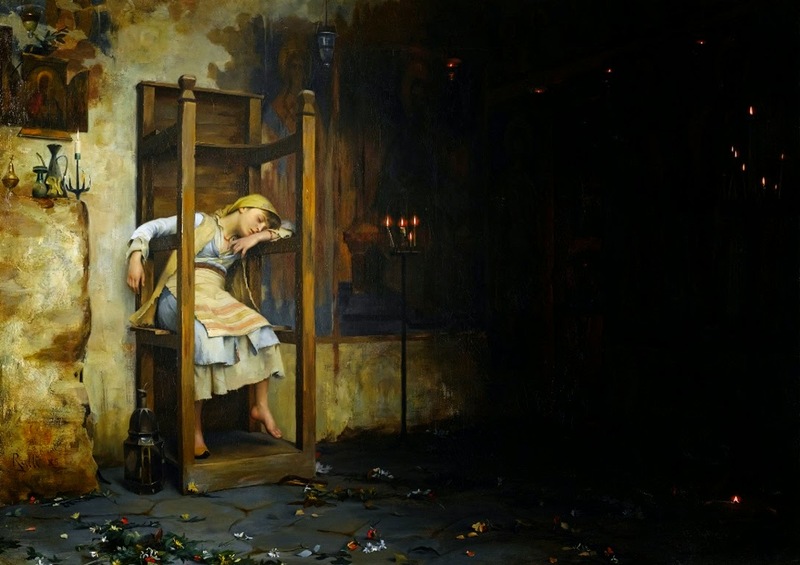 Rallis è stato membro della Società degli artisti Francesi, che lo ha premiato con la menzione d'onore nel 1885 e una medaglia d'argento nel 1889. 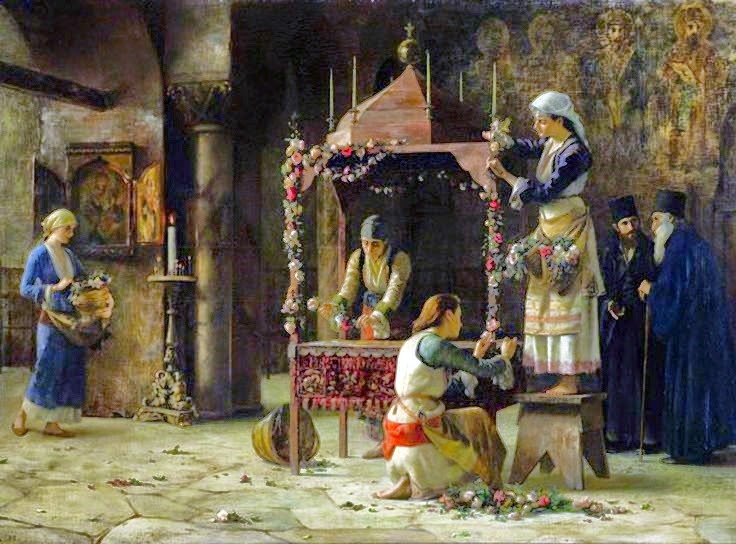 Divenne anche un membro della Legion d'Onore, e nel 1900 è stato membro della giuria del Salone Internazionale di Parigi. 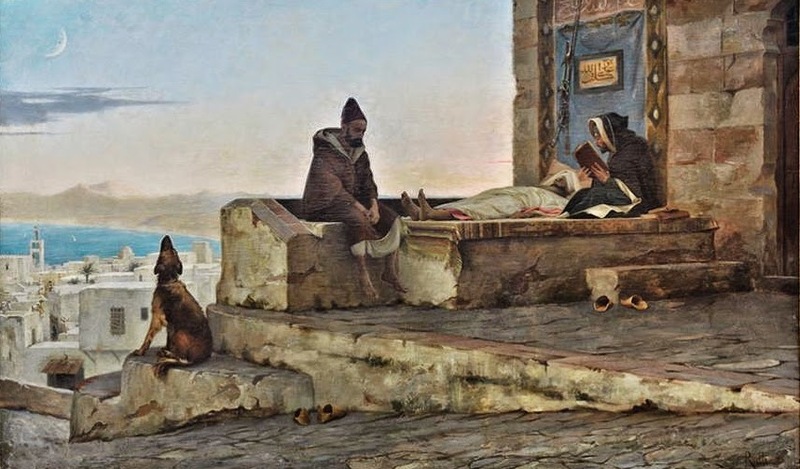 Nel suo testamento lasciò alcune opere della Galleria Nazionale.